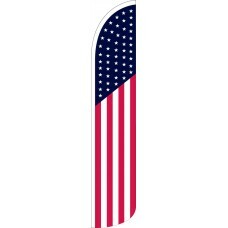 Our Patriotic Wind Free Feather Flags are the ideal way to decorate your business or organization, using a heartwarming and patriotic symbol to make you really stand out from the crowd. 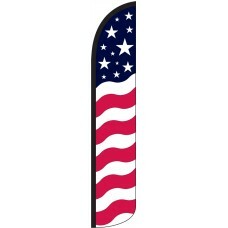 Patriotism is one thing that never goes out of fashion; Our USA-themed wind free feather flags are the perfect way to take your business to the next level. They can be used for a range of different applications, including decorating your business or corporate event, celebrating a patriotic holiday, or creating a display at a sporting event or marathon. 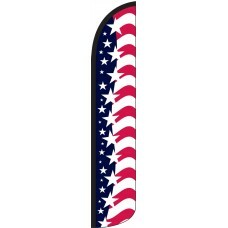 No matter the application, USA-themed feather flags will create a display which makes you stand out from the crowd. 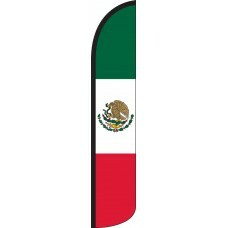 We also stock both Canadian and Mexican Feather Flags, which can be used to demonstrate a company's heritage and patriotism in their countries of origin or can be used in areas of the U.S. to promote a business where there is a high Canadian or Mexican immigrant population. 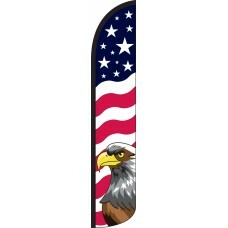 If you want to show your patriotic pride at your home, work or organization, then check out our range of flags below!